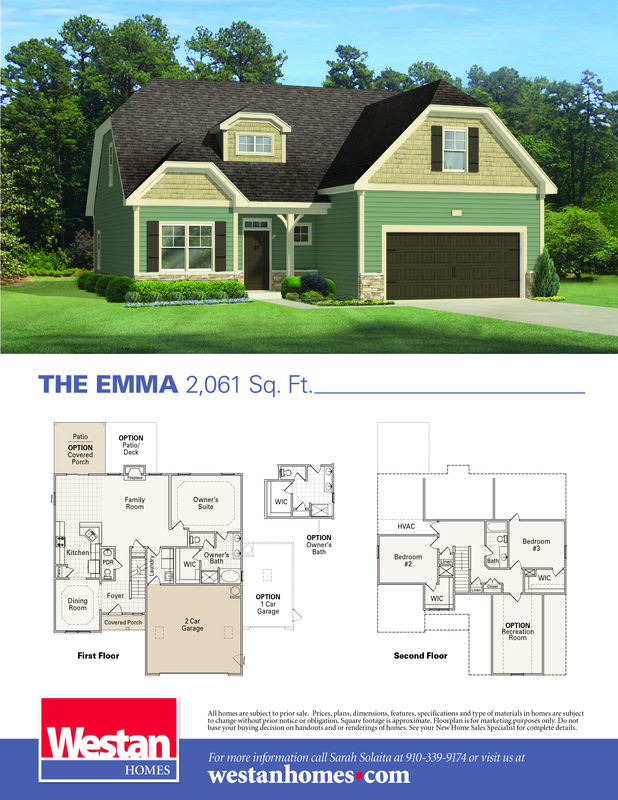 At Westan Homes the Emma offers 2,292 square feet to love! Enter into a foyer with the formal dining room to one side. A large kitchen includes tons of counter space and bartop overlooking the breakfast nook and family room, which features a vaulted ceiling. First floor Owners Suite features a huge bath with a double vanity, separate tub and shower to and walk in closet. The laundry room is on the main level as you come in from the Garage featuring a utility sink. Upstairs includes 2 Bedrooms both with large walk in closets and a huge bonus room perfect for family movie nights!